Panoramic view of Tsuruga Port (敦賀港) in Fukui Prefecture. 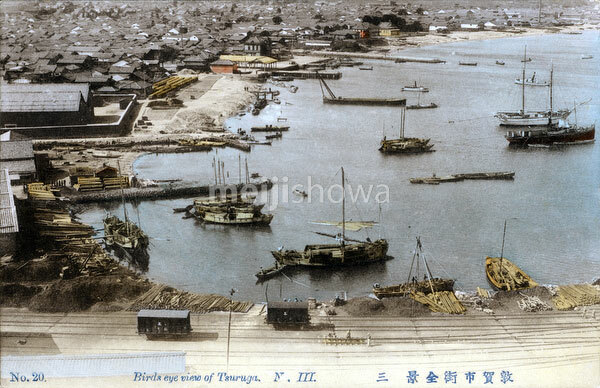 An Imperial decree in July 1899 (Meiji 32) established Tsuruga as an open port (開港場) for trading with the United States and the United Kingdom. This served as an impetus for local industry.